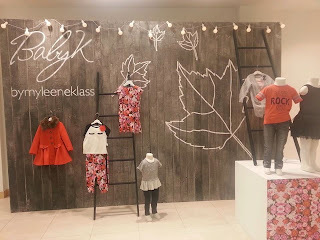 Mum of Five Staying Sane: A sneak peak at the Autumn Winter 2015 children's fashion Baby K by Myleene Klass baby and children's clothing collection from Mothercare. A sneak peak at the Autumn Winter 2015 children's fashion Baby K by Myleene Klass baby and children's clothing collection from Mothercare. 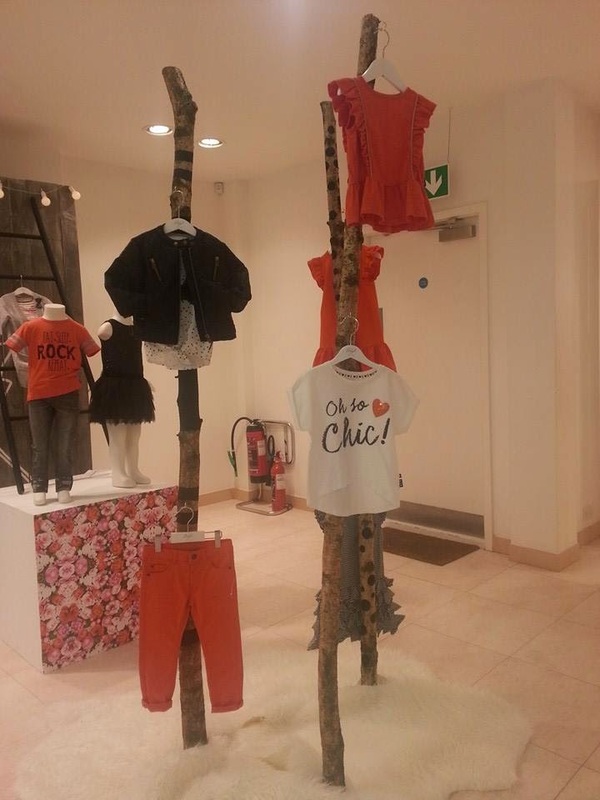 Last week I got to go to the Mothercare press show for their Autumn/Winter collections. Included in the show was the Baby K children's fashion clothing collection by Myleene Klass. Baby K by Myleene Klass was launched in 2005 and is a children's fashion clothing range designed exclusively for Mothercare. The range covers the baby section and goes up to age 8 years in the children's section. The latest girls collection sees the Baby K signature styles return, along with an on-trend floral bloom print in hues of pink and orange; a key colour trend for the Autumn season. 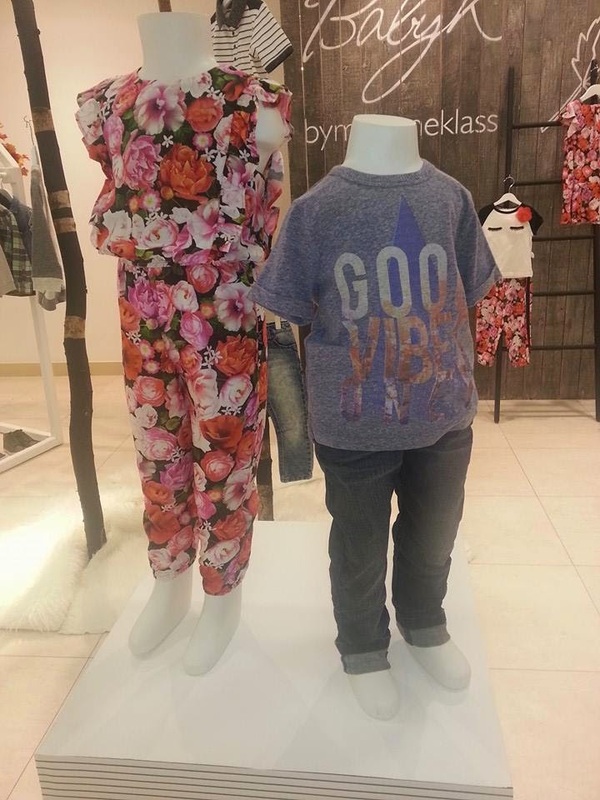 The print features on an easy to wear jumpsuit with frill detailing, drop hem dress and cuffed relax fit trouser. Orange separates can be worn with the new unisex faux leather biker jacket. 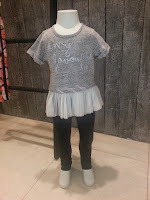 A timeless black and white stripe palette is prevalent throughout the range with pretty frill and graphic details transforming casual tops and dresses into special seasonal pieces that are easily mix and matched. 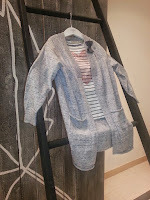 The gorgoeus girls winter coat with fur collar detail, the floral print jumpsuit and I love the long length grey girls cardigan. For boys, Baby K brings raglan sleeve tees in hues of blue, orange, cream and grey. Urban inspired graphic tees lead the collection and are worn with washed turn-up denims in grey, black and blue options. 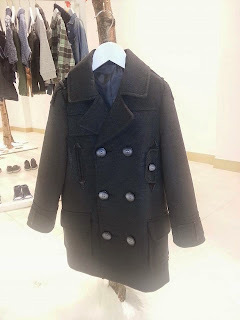 Finish the look with the new unisex leather biker jacket or the military style coat is back again this year in a grey colour option. 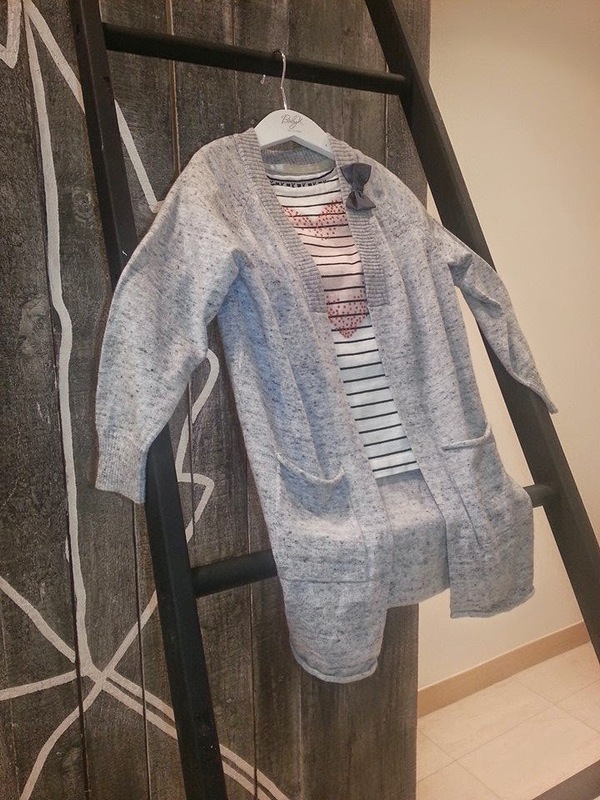 The boys grey military style coat and jeans and tee combo. 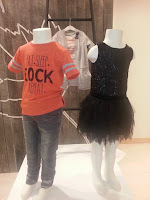 A girls black sequinned body and tutu style dress. 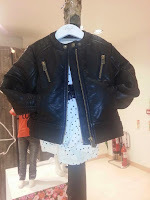 The gorgeously cool black biker style jacket for both the boys and girls. 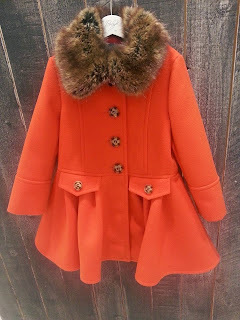 The Autumn Winter Baby K clothing collection will arrive in stores from August 2015 onwards.